My name is Aamir Khan and I’m a Flexible Resource Team Manager at Her Majesty’s Revenue and Customs (HMRC). In the 2016/2017 academic year, I was a mentor for Mosaic’s annual Enterprise Challenge competition. The Enterprise Challenge is a national competition designed to increase young people’s understanding of business concepts and how they can apply them. Secondary school students aged 11-16 learn about establishing and running a business through a business simulation game, supported by expert mentors. Interaction with these mentors helps build the students’ confidence, employability and self-efficacy. The five best performing teams in each region compete to receive a coveted place in the prestigious Grand Final. With the support of my manager, I mentored a team of five students from Dixons Kings Academy in Bradford. The first stage of the competition consisted of 4,920 students from schools all over the UK. In order to progress the next stage of the competition my team needed to earn a profit of £6million or above through the business simulation game. With the pressure on and only 120 students nationwide able to progress to the next stage, my group successfully made a profit of just over £7million. The students were delighted and we progressed to the next stage of the competition: the Enterprise Challenge Yorkshire Regional Final, hosted at KPMG in Leeds. To compete in the Yorkshire Regional Final my team needed to think of a innovative business idea which would benefit their school and local area. They then had to create a three-minute long pitch to present to a panel of five expert judges at the Dragons’ Den style event. With my guidance, the team came up with a sustainable business idea that promoted student fitness, converting energy generated through activity into electricity. They decided on the team name ‘Electro Fit’. They produced an excellent pitch and, up against stiff competition, successfully managed to secure a fantastic first place, beating other schools from Yorkshire and progressing to the Grand Final. The Mosaic Grand Final consisted of the top six secondary schools across the country (all winners of in their respective regions) and took place on the 17th May 2017 at Hogan Lovell’s International LLP offices in London. In order to prepare for the final stage, my team from Dixons Kings needed to pitch our business idea again and also prepare to answer a series of questions relating to it. In my role as a mentor I worked with each student and conducted regular career conversations. I was able to coach my mentees and help them create a professional presentation. 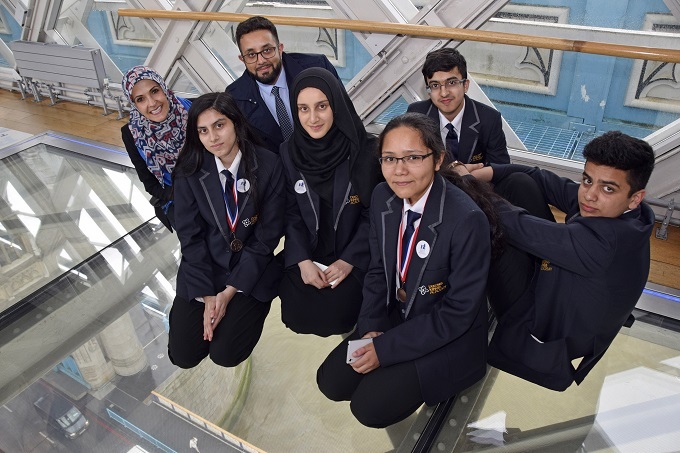 The final itself was a fantastic day and Dixons Kings were awarded third place, and received a £1,000 prize to help their school, goody bags, high street vouchers and finally, a tour of London with an afternoon tea at Harrods. I’m particularly thankful to my manager and employer, HMRC, who supported me throughout this experience and encouraged me to develop myself. Mentoring with Mosaic was extremely rewarding and it felt great to give something back to my local community. It not only gave me an opportunity to improve my mentoring skills, but also boosted my confidence by helping me to step out of my comfort zone. I would recommend that all businessmen and women challenge themselves and take full advantage of the volunteering opportunities available with Mosaic.